Before we get to the pictures, I'd like to apologize about my cuticles. I'm still trying to fix them after two and a half years of working in a restaurant. It will take time, and I don't have the patience to wait until they're 'perfect' to take pictures. Avert your eyes! If you guys would like, though, I can post about my nail care routine! Let me know if that's something you'd enjoy. Anyways, here are some swatches from my most recent Cult Nails haul! First off we have Disciplined. 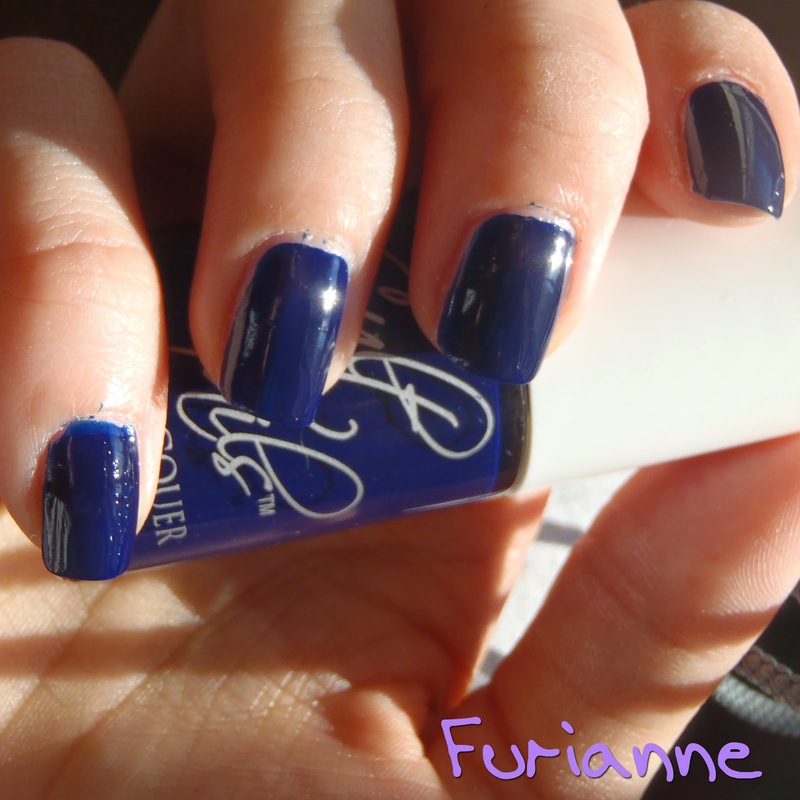 This is a sheer polish if you use one coat, but it builds very easily. This is 3 coats, which was all I wanted, but I could easily have gone for a fourth for full coverage. Disciplined is a very light grey/blue base with duochrome glitter in it. 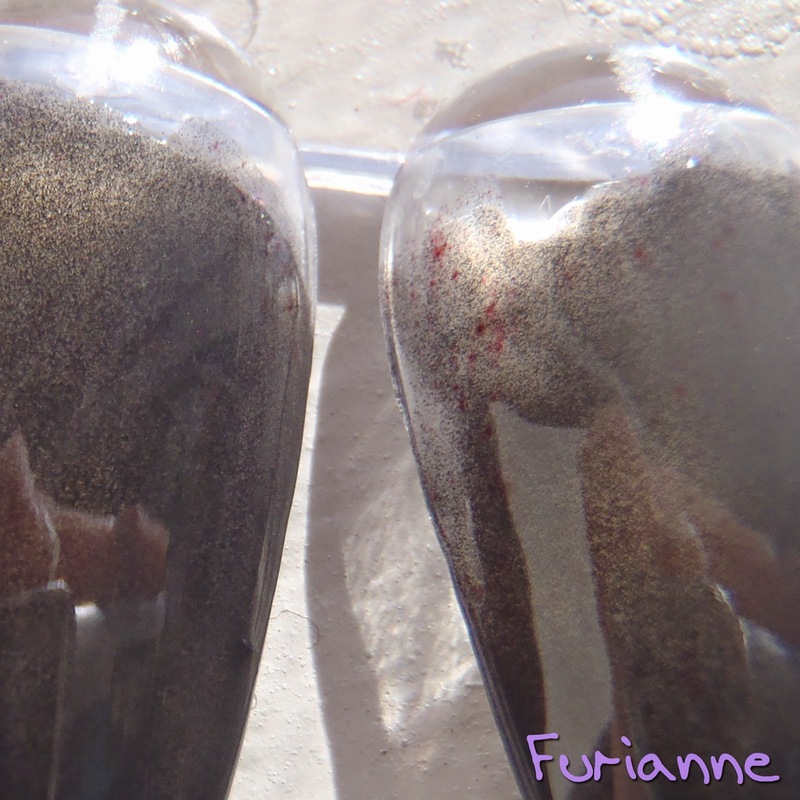 The main glitter shifts between blue and purple, but there's a slight amount of glitter that gleams red/orange. No matter how hard I tried I couldn't capture that secondary duochrome in picture form. Eh, oh well. Formula on this one was decent. It takes a while to fully dry, so unless you're using a quick dry top coat or are very very very careful about your nails in between coats and during dry time, you're going to end up with some dents and scrapes and bald spots from trying to push back down the polish that you swore you could make look like new... oops. Next up we have Time Traveler. I really like this color. A very, very deep blue. From the pictures on the website I'd hoped that this would be a jelly, but it's unfortunately not. I still love it, besides one teensy little issue with my particular brush that I need to fix. See that stray hair? 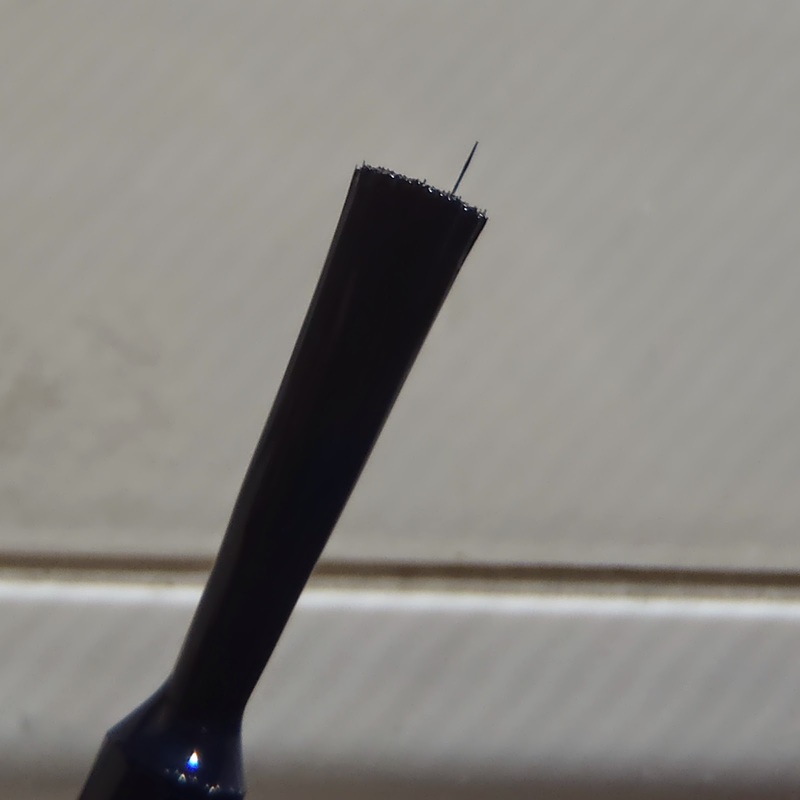 That's the culprit to the crappy application above. I was going to clean it up initially, but thought I would keep it in so I could point this out. Now this isn't the norm for Cult Nails, and it's as simple as getting some scissors and slicing that baby down, but do you see above why it's so important for brushes to be even? That's why I have issues with other brands like Sinful Colors and Wet N Wild. They may come up with awesome colors, but I'm not one for cleanup after their crappy application. I want to rely exclusively on my application skills, but all the skills in the world can't compensate for a wonky brush. But I digress. Pictured is two coats and I really don't think you need any more, if you apply an even second coat. This dried really fast and I had no issues with it while applying. On to Devious Nature. Okay... now this one I'm very surprised about. Anyone who knows me knows that I'm not a fan of pink. At least I wasn't for the longest time. In recent years I've gotten better about my feelings on pink colors, but it's still not often that I'll reach for that color. With this.... ohhh my goodness. Though, to be fair, this isn't quite pink. More berry pink with just a hint of purple. This picture shows the color more accurately, on the nail. Application was a dream. There was no pooling, and the color itself was very opaque. Pictured is two coats. It almost seems to self level, as demonstrated in the first picture, and it's so shiny on its own! I was pleasantly surprised by this one. 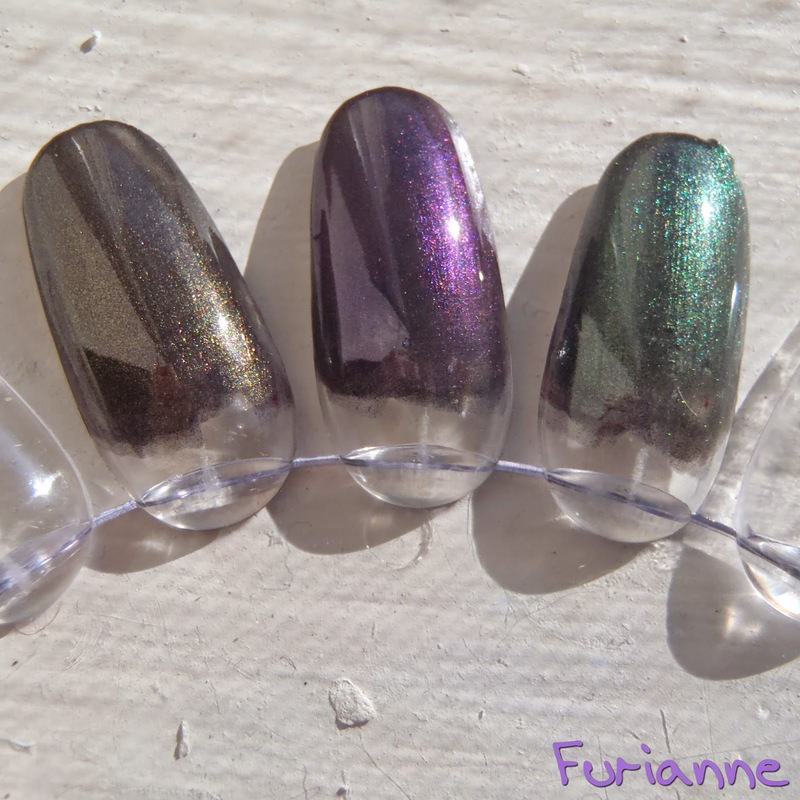 Wanna Be is one of Cult Nails more recent polishes, from their I'm Not Gone, Girl I'm Here! collection. First off I have to say I did not remember anything I'd read about this polish when I saw the bottle pic on the website. I assumed I would get a typical frosty brown with added shimmer. Let me say, that is not the case. The pinky nail here accurately depicts the base color. A subdued pink/red. The shimmer is a gold/brown shimmer that looks... I don't know how to put it... multidimensional? Is that too cheesy? Well, dammit, that's the word that comes to mind. Pictured above is two coats and I had no issues with application. Next up I have some polishes leftover from the 2012 Deceptive Top Coat collection. 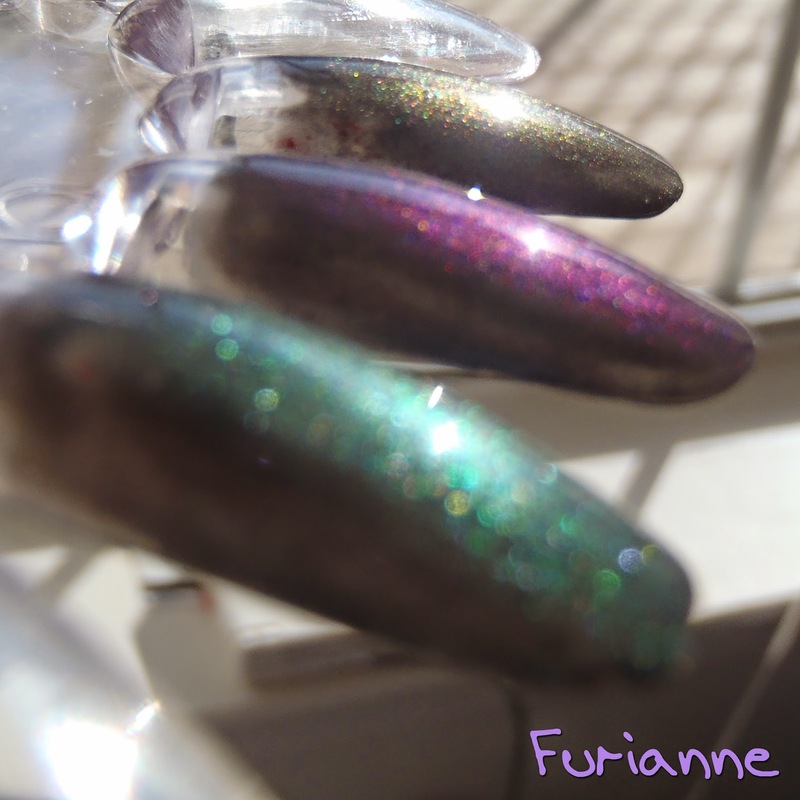 I decided to do some swatches on a nail wheel as I was running out of sunlight to take pictures with. As this is a topcoat, I figured a darker base color would be acceptable. What a perfect opportunity to show off another one of the colors from my recent haul? While painting the nails with Blackout, I noticed a couple things. 1) You can 'see' the pigment, as demonstrated above. It's not a solid color... more like you can see little specks that take several layers to completely cover the nail. 2) There's some pink/red in this. You can see it on the right nail pictured above. Interesting, but not necessarily a deal breaker for me. I got this intending to use it as a layering polish anyway, and 3-4 coats will hide all of this completely. At the very top of the picture, we have the golden sheen of Alter Ego. On bottom, we have Two Timer. These are some gorgeous layering colors. I really need a creative push - I can't think of anything besides black/grey to layer this over. I remember wanting to buy the entire collection when it first came out, but at that time I had just barely gotten my first job and I had no money to spend. Or money at all. Ah, simpler times. I had no issues with any of these, and they are all one coat over 3 coats of Blackout. If you still haven't gotten your hands on any Cult Nails or want to grab some final colors before they close up, never fear! They still haven't opened up for Liquidation, Round 2. On Instagram they stated that they're getting all the polishes pre-ready for shipping to improve the customer service experience this time around. The fact that it's taking so long makes me hopeful that they have some long-lost polishes that they're going to pull out of the vault to add to the store. One can hope, right? Do you have any Cult Nails? What do you think of them? Will you be shopping with them one final time before they close up shop? Awesome swatches! Wanna Be looks so beautiful. Wishing I would have picked it up. Your top coats look fun. Could you double layer those for more effects?